What inspired you to write a book about the stallo people and how did the idea for Stallo originate? I didn’t set out to write a book about the stallo people, I more or less stumbled across their mythological footprints when expanding my troll story geographically. What is a troll? It’s a makeshift denomination for an elusive, mischievous supernatural being, originating from the stories of our oral tradition, therefore pertaining a certain degree of authenticity. 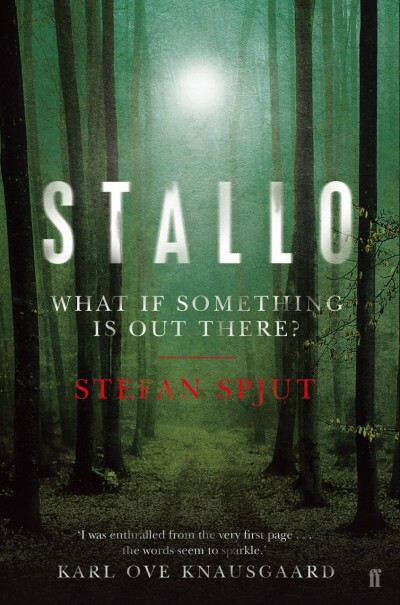 In the sami culture of old, such beings, roaming the borders of reality, were referred to as stallo, or stallú, which is a sami word of obscure origin. Maybe it means steel, maybe it doesn’t – the etymological obscurity contributes to the sense of mystery. So the troll and the stallo are essentially the same. It’s obviously part of my literary method to adumbrate a hidden connection like that. The idea popped up when I moved a lawn and happened to find out where or rather how the troll was hiding. All these long years it was hiding in our domestic fauna, under my very nose. Hidden, however, is not forgotten. What writers would you say have been the greatest influence to you at this point in your career? Were there any works that felt particularly formative to you as you wrote Stallo? In my literary tympanum I discern a queen, Kerstin Ekman, and a king, Cormac McCarthy, both born in 1933, by the way. Our greatest living writers, in my humble opinion. Master stylists exhibiting a shrewd, unsentimental view of the world which I solemnly share. Also David Chase, the unabiding way he helmed The Sopranos – the great american novel everybody’s searching for; it’s right there, under your very noses, in the shape of television drama – has influenced me strongly, I think. Were you told folk stories about the stallo as a child? How present are those stories in the collective conscious of Swedes today? 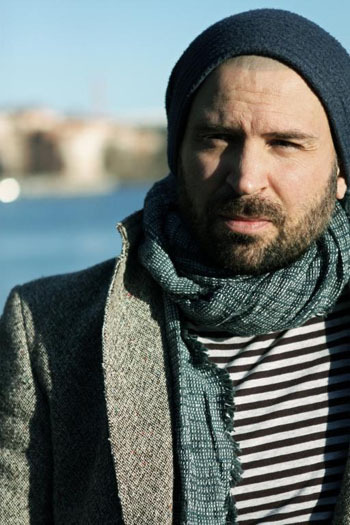 Stallo may be a heavy hitter in the sami mythology, but since the sami culture’s a minority culture, only a minority, a miniscule fraction, we’re talking maybe five permille of the population in Sweden, are familiar with the stallo myth. So the stallo’s quite an exotic species, even here in Scandinavia. Susso’s online cryptozoology community plays a big part in Stallo. Did you explore similar online forums or groups when you were writing? I checked some of them out early on, mostly because I didn’t want my protagonist to be a kook. Due to my impression I degraded her from zealous cryptid hunter to an explorer with a more agnostic mindset. Internet, as a game changer, a mental mutation of the human mind, plays a big part in my novel. Part of what makes Stallo such an eerie, captivating story is it’s atmospheric setting. Have you spent much time in the far north of Sweden? What have your experiences there been like? Once upon a time I did my military service in Kiruna. I was a young man with a soft skin, and the cold and the darkness made a huge impact on me. I thought I hated it, but as it turned out, I didn’t. The under-current of my mind started to drift towards the North, which, of course, was a nostalgic flow, and almost twenty years later, I returned, as a journalist at Norrbottens-Kuriren in Luleå. I needed a job, but also to conduct atmospheric research for my novel. An inner compulsion forced me to it. I still feel it. I’m not done. Also it’s a beautiful place. Filled with power. For me it has become a realm of fantasy. Why I can’t tell, but it probably has to do with the vastness of the region. And the mentality of the people. There’s an anology there. I do have a message, a four-word message. Here it comes: Watch over your children. A sequel to Stallo, a darker chapter, very grim. Also a mystery television series, of classified contents, called The Whistlecraft Spawn. And last but not least a melancholic book about fighting. What if something is out there? In the summer of 1978 a young boy disappears without trace from a summer cabin in the woods. His mother claims that he was abducted by a giant. The boy is never found. The previous year, over in a Swedish National Park, a wildlife photographer takes a strange picture from his small airplane, of a bear running over the marshes. On its back sits a creature, which the photographer claims is something extraordinary. Twenty-five years later, and back in Laponia, Susso runs a much-maligned web page, one dedicated to searching for creatures whose existence have not yet been proven: the Yeti, the Loch Ness Monster, Big Foot. But Susso has her own obsession, one inherited from her grandfather, the well-known wildlife photographer. When an old woman claims that a small creature has been standing outside her house, observing her and her five year old grandson for hours, Susso picks up her camera and leaves for what will become a terrifying adventure into the unknown ..